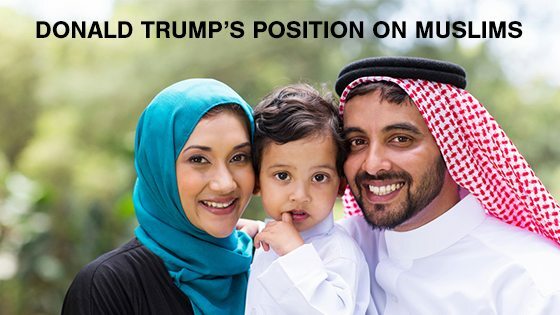 Why is Donald Trump’s Statement to Ban Muslim Immigration Getting Traction? The problem with this stance is that Trump believes radicalism should be spoken up against. That in itself is a fine statement to make; but, when the radicalism is against the American people, it becomes a problem (Scott). Minorities have become an easy target within our country due to mainstream media. The successfully demonize them when they can’t pin our country’s issues on one party or group. Mainstream media points a finger at Muslims and other immigrants coming into our country. One person will see giving freedom to a group of people while another person will see this as “illegals coming into our country and stealing our jobs and rights away.” The sad, unfortunate matter is that this is not part of the agenda at all. This does nothing but give rightful Americans seeking refuge in our land of the free a difficult task. Far too often we hear of people using an immigrant status against others. This is one of the sole reasons why people are agreeing with Trump’s status and fear mongering against minorities. The problem is the fact that people believe that, if they agree with Trump, millions of those illegal immigrants who have come to seek refuge will be mass deported. Which is something way out of bounds that will probably never happen. Integrating people into our lifestyle fairly and handling criminal matters as they appear is an order of business that many fail to respond to. A missed issue is that mainstream media focuses solely on out-of-country matters. Americans are failing to see what is happening with their people on their own soil. An American person can agree with what Donald Trump is offering on a ‘distinguished silver platter’ that they fail to see that extremist ideologies and outside terrorist groups have killed less than slayings by white supremacists (Shane). Trump’s stance to ban Muslim immigration has gained significant traction recently. This happens when we remain so caught up on our own history of the attacks taking place on September 11, 2001. We condone mainstream media and the words of people like Trump who stand up for what we want to hear, that we forget the real issues in the country.